Kids' 3-Wheel Scooter Just $27.99! Down From $80! You are here: Home / Instagram / Kids’ 3-Wheel Scooter Just $27.99! Down From $80! 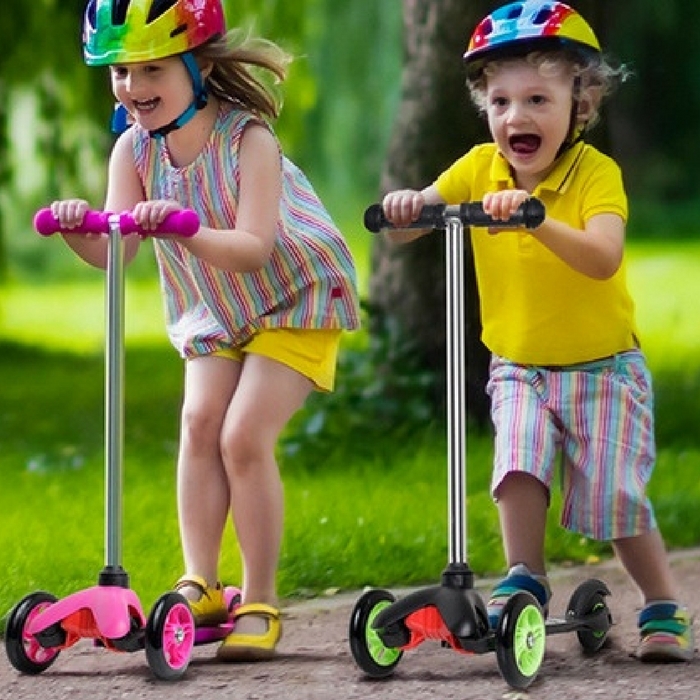 Kids’ 3-Wheel Scooter Just $27.99! Down From $80! Your kids would surely love to have this amazing scooter! At Groupon, Kid’s 3-Wheel Scooter is now on sale for just $27.99 down from $79.95 PLUS FREE shipping for orders over $35! Give your kids loads of fun riding in this awesome scooter! It has an easy grip T-bar handle and slip resistant deck!